THEY don't care about the suburb so long as the rent is reasonable and the landlord doesn't look too closely. 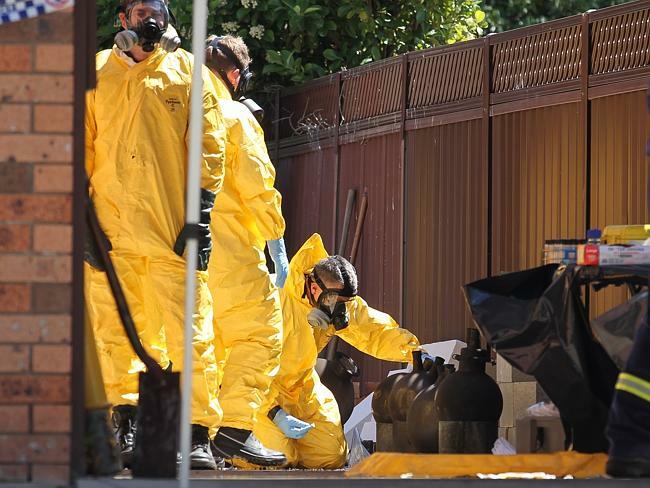 As the state's Drug Squad announces a crackdown on backyard drug dens after two explosions in Sydney in 24 hours, The Daily Telegraph can reveal that from Fairfield to the north shore, a clandestine lab could be right next door. NSW Drug Squad commander Detective Superintendent Nick Bingham describes it as hiding in plain sight. Forensics teams investigate the scene at Barden Ridge. 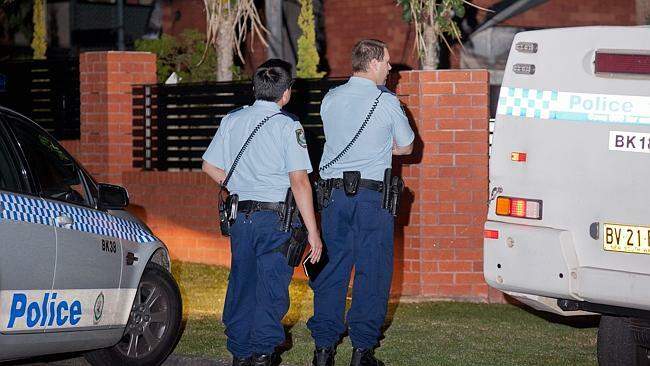 While occasionally one will be set up in an industrial area, almost all of the 86 drug dens raided by the state's police this year have been in residential properties, most of them in quiet, unsuspecting suburban streets. "The most important things to these people are the availability of properties and the cost of properties because if they go about their business in a way not to arouse suspicion, they can do it anywhere," Det Supt Bingham said. "The big issue is keeping a lid on the lab itself." Police examine drug making equipment found in the fire damaged garage of a home in Bankstown. 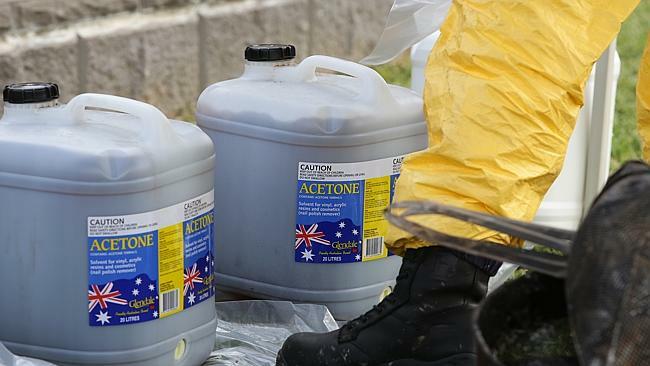 Police have confirmed that the two meth labs that exploded into flames in Barden Ridge and Bankstown on Sunday evening and Monday afternoon were sophisticated, commercial operations. Nine drug labs have blown up this year killing one person. 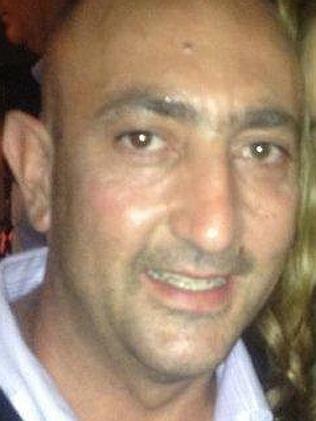 The man, 50, died in January 10 days after suffering full thickness burns to his arms and legs in a fire at Quarry Road, Ryde where police later found 7kg of methylamphetamine with an estimated street value of $1.4 million, $500,000 cash and three guns. Rob Cutelli, 40, and a male relative were clinging to life in induced comas yesterday at Royal North Shore Hospital after the blast that tore apart the two-storey garage behind the Barden Ridge house belonging to Rob's older brother, Joe, 41, a drag-car racer, on Sunday. 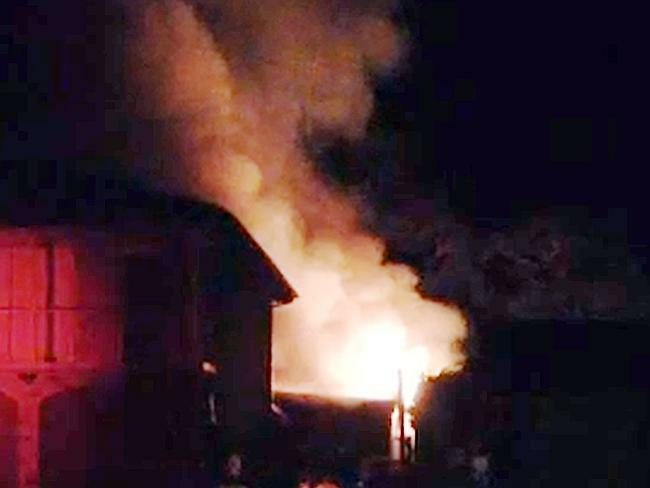 A fire at Barden Ridge after a drug lab exploded. The family has requested a media blackout on updates on their condition. 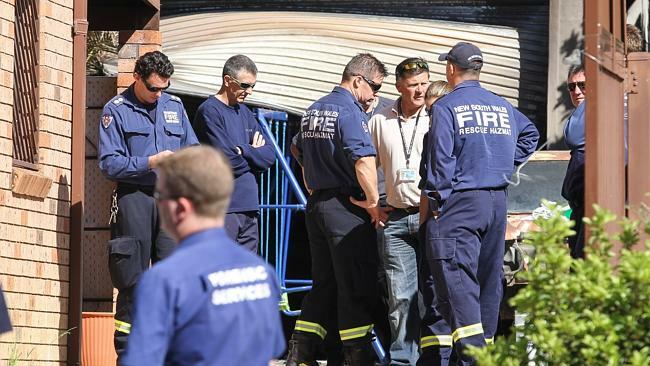 A 43-year-old man is in Concord Hospital after suffering burns to 30 per cent of his body after a drug lab exploded in Archer Street, Bankstown on Monday. His garage drug den was only metres from the bedroom of his elderly neighbour, who said she knew the Vietnamese man as John. "John is always in the garage. It is always closed never open. The windows are never open, always closed," she said. In a separate shed at the other end of the house, which is secured behind high fences with CCTV cameras, dozens of bags labelled "Coco growing" were piled halfway up the walls. Coco - a byproduct of coconut harvesting - is a soil-like material commonly used in hydroponic gardening. Det Supt Bingham admitted the proliferation of suburban drug labs was beginning to resemble the hit TV series Breaking Bad. "It certainly does look like an episode out of Breaking Bad with the explosions we've had at Barden Ridge, and (the) other one overnight," he said. "Most of these drug dens blend into regular suburbia and neighbours may have no idea what the house is being used for." Each set-up can be a multi-million dollar operation with ICE worth about $220,000 a kilo and a kilo of speed going for between $70,000 and $110,000. Det Supt Bingham said these were the two most common drugs made in the backyard labs, both using the same main ingredients: ephedrine (or pseudoephedrine), hypophosphorous acid and iodine. Police at the property in Barden Ridge. But every step of the way, the dealers face being caught, from the importation of pseudoephedrine from India or China, or buying the sophisticated lab equipment needed, to selling the drugs on the streets. Most of the properties used as drug labs are rentals because owners risk their homes being seized under proceeds of crime laws. Legitimate lab supply companies are required by law to have buyers complete Electronic Enduser Declarations, which are followed up by police, Det Supt Bingham said. He said good drug cooks were highly-sought after because many of the solvents and chemicals required to make amphetamines were toxic and highly flammable, especially during the evaporation process. Police have brought forward their campaign to encourage neighbours to dob-in drug houses after the latest explosions. Det Supt Bingham said while he was not too bothered about the fate of the drug cooks, these drug dens posed a real danger to the local community if they went up in flames. "It is much more by luck than by design that no-one else has been hurt," he said. "Drug houses typically house a toxic mix of chemicals in an unregulated, unstable setting - the perfect environment for a fire or explosion." Police have released a list of seven telltale signs that point to an illegal drug lab including strange smells, chemical containers and waste, blacked out windows and vehicles coming and going at strange hours.